Again as we search the internet for ’news‘ we came across rumours on Apples Logic Pro. It seems that there will be NO LOGIC Pro 8! According to a former Emagic employee there will be no new update for Logic. – The new app will have a new name. – They are working on it for 5 years and it will be out this year. – It will be a “Pro Tools Killer�? with a Logic feel but in a new user interface and take advantage of OSX.5 (it will need it and don’t work on X.4 or prior) and new Apple hardware (touch screen display). A Dream? Or what? 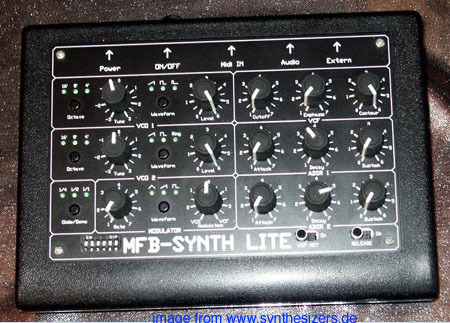 Gearjunkies.. is also just a forum, but hmm.. imo apple MUST go for another version, too.. if they jump on the „midi is useless“ bandwagon logic is dead for most of the synthesists.. but they cooould have inplemented sounddiver or beter: developed a new one?.. hmm.. rumours, rumours.. In deutsch im Forum – Logic8?